2.4 Floor or Wall Mount? Are you looking for a compact, fashionable, and economical toilet seat that doesn’t take up so much space and is easy to install? Then you need a tankless toilet. A tankless toilet does not use a tank of water for flushing. Instead, they are a one-piece unit, connected directly to a water supply line that provides a measured high-pressure flow of water for every flush. Most models are a hybrid washlet (bidet) and toilet unit, the washlet utilizes the constant high-pressure water flow for effective cleansing. Since they are one piece and do not have a tank, they are easier to install and maintain. Most of the tankless toilet models only use the force of water to flush, however, in high rises or when connected to a low force water supply, pumps are added to increase their effectivity. Since standard toilets use as low as 10psi per flush and are tank based, they cannot be combined with a washlet (bidet). 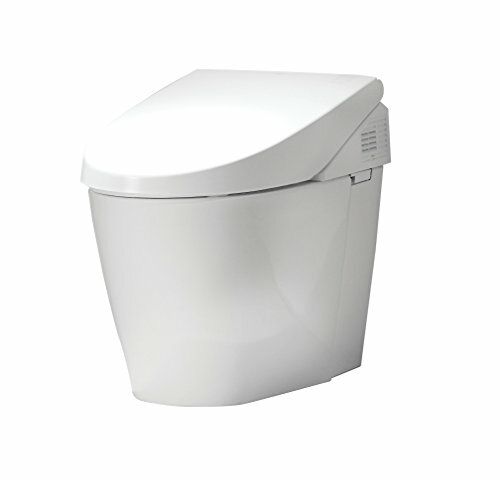 TOTO 700H Neorest tankless toilet is an eco-friendly washlet (Bidet) and toilet combined in a luxurious design. With both Universal design and ADA compatibility, this amazing piece of technology combines TOTO’s eWater+ technology, a remote control, an automatic Cyclone flushing system and SanaGloss ceramic glaze, TOTO’s ion barrier surface coating that keeps the bowl cleaner for longer periods. 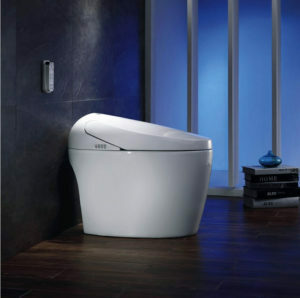 The Neorest 700H is a bidet and toilet seat combined. Providing a comfortably heated seat for those cold days and TOTO’s WonderWave technology, a spray and warm air dryer that provides a complete bidet experience. The double cyclone jet flushing system is extremely efficient and eco-friendly, and the automatic night seat control will raise and lower the seat when you approach. A nightlight softly shines on the toilet providing nighttime users easier and safer accessibility. 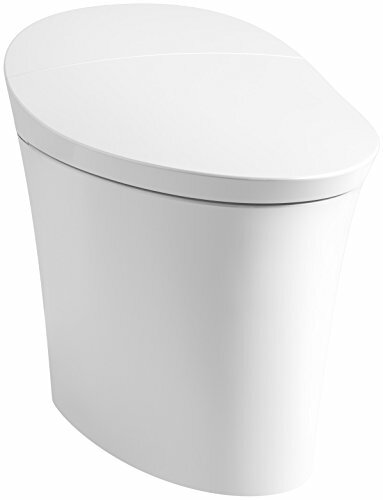 The TOTO Neorest MS990CGR-01 unit provides combined toilet and washlet functions that provide a comprehensive toiletry experience. The Neorest MS990CGR model includes TOTO’s SanaGloss technology, a ceramic glaze that makes cleaning much easier, using fewer chemicals and requiring less hard brushing. The washlet cleaning mechanism also comes with an air deodorizer and dryer function. The SanaGloss provides an ion barrier shiny mold and dirt-free china surface. The cyclone flushing mechanism provides low water consumption (6 Lpf/1.6 Gpf), and the washlet has front and rear temperature and pressure controlled water washing feature. This model comes with a heated seat automated seat opening and closing mechanism. We find this model to be little expensive when compared with their MS950CG#01 Neorest 500 model, but both are amazing products and top of the line models. 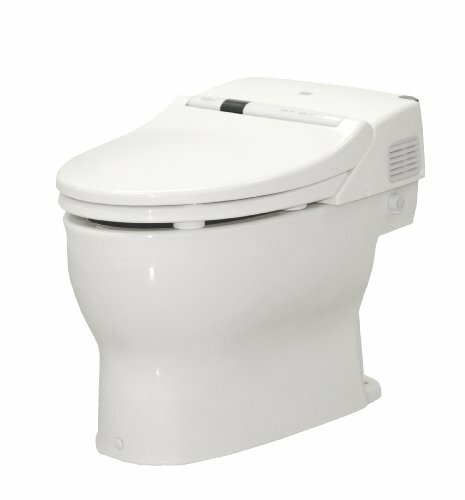 The Saniflo 023 is more than a tankless toilet seat; it is a uniquely designed, compact macerator operated toilet. This means it can be placed in the tightest and awkward spots, even below or far from the drainage system. The macerator is a highly efficient flushing system situated at the base of the toilet and uses only 1 gallon of water per flush. 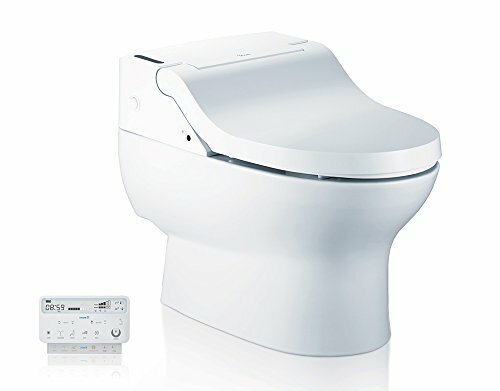 Due to its unique size and abilities, the Saniflo 012 macerator will flush waste up to 9 feet above its location and up to 100 feet horizontally, making this tankless toilet the most versatile of all the seats we reviewed. The Saniflo 023 is a perfect fixture for compact spaces or rooms, including lofts, attics and garages, and spaces that are set far from the buildings drainage system. You can connect this tankless toilet water source to a sink. The macerator is an electrically powered flushing system that is controlled by an electronic interface that measures 1 gallon per flush. The discharge elbow enables a 360-degree rotation, making assembly and connection easy and space efficient. One very good use for this tankless toilet is an assembly in any location providing ease of access for people with physical limitations. The Bio Bidet model IB835 is an integrated bidet and toilet system designed to deliver a state-of-the-art automated experience. This tankless model provides a comprehensive bidet cleaning system with an advanced toilet and bidet functionality. The IB835 includes a heated seat, deodorizer, dual cleansing wands, and posterior and a warm air providing a comprehensive hygienic solution. Another wonderful feature is the automated flushing system that makes Bio Bidet a hands-off experience. Combining sleek modern lines, the IB835 offers a handheld wireless remote control that allows the user complete control, adjusting every feature and function to suit their personal needs. There is so much going on over here, that we decided to list them for easier comprehension. Another great victory for the US brand TOTO, with their Neorest 550H, you get the ultimate tankless toilet and bidet integrated system. As with all leading TOTO products, the Neorest 550H comes with their SanaGloss ceramic glaze ion barrier maintaining a shinier and cleaner bowl surface; this model comes with their highest SanaGloss grade that keeps mold off as well and makes cleaning less frequent and much easier. Apart from this, the 550H model comes with TOTO’s eWater that mists the toilet bowl with electrolyzed water, this adds to the easy cleaning features that make this a leader in easy cleaning. This tankless model uses TOTO’s SoftClose seat mechanism for a quiet anti-slam experience. 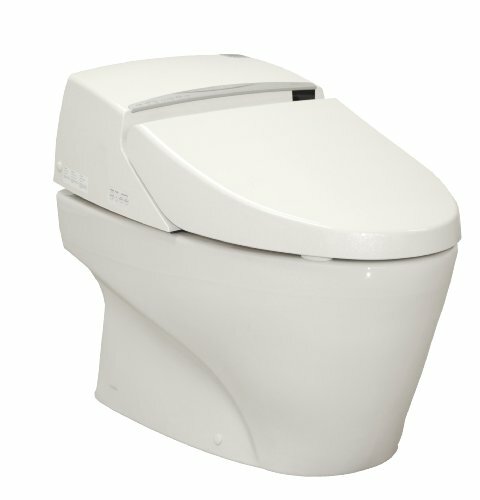 Kohler is a US company that provides a wide range of amazing products including this top of the range tankless toilet. The K-5401-0 model is worth every cent you pay when you factor in all of its amazing features. Kohler spared no expense incorporating every technological piece of wizardry it could find into this “Intelligent” tankless system. Rather than discuss every feature, we decided to list them, making it easier to comprehend what you get. The true Tankless design is connecting to a direct water supply. Dual flush technology with 0.8 gallons or 1.28 gallons per flush. Warm water cleansing front and rear wash modes. Adjustable position, water pressure, temperature and spray stainless steel wand with pulsating, and oscillate functions. UV light and electrolyzed water self-cleaning function sanitizing the wand surfaces. Adjustable temperature warm-air drying system. Quiet-Close™ lid prevents seat and lid slamming. Bowl illuminated by LED lighting at night. Power outage emergency flush feature. EPA flushing guidelines WaterSense® technology, saving 20% in water usage. The TOTO Neorest 500 is an amazing piece of technology that provides all the features you would expect from a top of the range tankless toilet system. This one-piece unit provides a cyclone flushing mechanism that works so fast you get an immediate refill with no refill noise. The TOTO Neorest 500 comes with a wash feature that provides both front and rear heated water washing and an automatic air dryer with deodorizer. The bowl is covered with TOTO’s SanaGloss ceramic glaze ion barrier maintaining a shinier and cleaner bowl surface, and comes with their highest SanaGloss grade that keeps bacteria and molds off as well, and makes cleaning less frequent and much easier. The Neorest 500 model comes in three different colors, so you achieve a better matching for your interior design, the colors included are Sedona beige, colonial white and cotton. The seat and lid come with motion detected automatic opening and closing function incorporating TOTO’s SoftClose function. While you might expect tankless toilets to be installed inexpensive homes due to their price, you will find many models installed in small homes and high rises. Commercial tankless toilets are one of the main features in the city of New York, where the city buildings were designed with “flushometers,” a commercial jargon for tankless units that connect directly to the main water source without mechanical pumping aids. Commercial tankless toilets were used because they were easy to install and required less maintenance. They also took up less space since they did not use a tank. Due to the nature of the water source, tankless toilets can provide a compact solution for both male and female hygiene requirements. This raises the price, to include the special washing features a “bidet” or “washlet” integrates for female use. In recent years, a great design change has become fashionable, making these tankless hybrids the desire of every household. You will find many tankless toilets in commercial buildings since they require a high-pressure water source to be effective, most commercial building and some residential units have access to high-pressure water sources (15-20psi) and this type of model is called a Flushometer. When the water pressure is lower than the 15psi limit, then the building must integrate a pumping mechanism to increase the water pressure. The flushing control mechanism is basically a water valve built into the unit and can be either a simple system that meters out the amount of water per flow or a complex electronic one that can adjust both flow pressure and amount of water per flush. 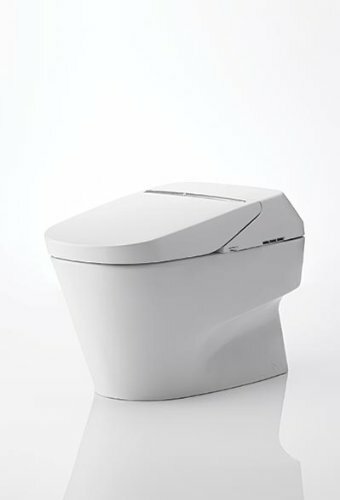 When we researched tankless toilet models, we came across Chinese replica’s that are offered at 20% of the real model. We strongly suggest you resist the urge to buy cheap. Cheap is too expensive! The Chinese models use poor grade ceramics, no modern finishes and the mechanisms are usually fake and in many cases, don’t work at all. If you fall for the cheap Chinese models, you will end up having to replace it immediately, or in the best case, within three months. The American and European models use modern technologies, conform to regulations and international standards, and will flush from the day you install them. They will also retain their sheen, maintain their ceramic shine, and come with a guarantee. Check out our online Toilet Buying Guide, 10 Tips to Find the Best Toilet For You! One interesting fact about tankless units is the control they have over water usage. While the flush rate can be similar between tankless to standard models, the control of how much water you want in a flush can be regulated in some of the latest models. Water conservation is a major issue in this industry and technology is advancing fast; tankless units use the best water conservation technologies since they are directly linked to the water main and can take advantage of the pressure as well as control the flow. The decision to place a tankless unit is dependent on two factors, the weight factor you have and the design you want to reach. If you are a heavy person, you should consider a floor mounted unit. If you prefer an aesthetic design and want a clean and clear floor, then a wall mounted unit is better. One interesting factor is floor cleaning; if you have the floor mounted unit, there is more chance of “grunge” accumulating around the base of the unit. That is why wall mounted units offer a cleaner aesthetic and easier floor cleaning option. Having stated this, cleaning the wall unit replaces cleaning the floor. Tankless technology connects a toilet to a water main that reduces the possibility of malfunctioning tank flushing units. The direct water mains connection uses less water through electronically controlled mechanisms. Tankless models are easier to install. 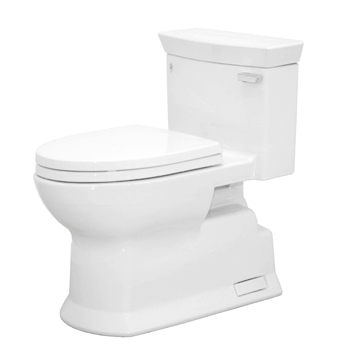 Installing a tankless toilet is generally easier than a two-piece toilet. As with any toilet system, there are only two types of installation to consider; either floor-mount or wall-mount. Installation requires matching up the toilet to the water source and fixing the toilet to the floor or wall that will both secure the unit as well as make it accessible to all users. 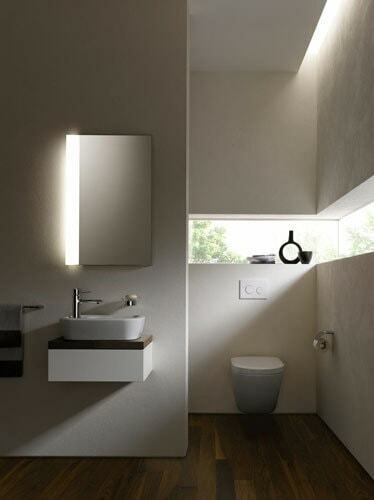 Unlike floor mounted units, wall hung toilets require special care for weight considerations. You must remember that the toilet seat will be used by various weighted individuals, ranging from lightweights such as kids to people that suffer from obesity. When planning the attachment of a wall mounted toilet unit, you must consider the structural forces of the wall and the bolts holding the toilet as well as the manufacturer’s specifications (weight limits). Turn of the water supply. Clean the area it was fixed in. For a complete guide how to measure the placement of a toilet seat, check our online guide. To accurately measure the height of a wall mounted seat, check out our online guide here. Since most toilets models come with specific installation guides and user manuals, we limit out FAQ to general questions that are appropriate for all tankless toilets. How does a Tankless toilet work? Tankless toilets use a regulated flushing system that is directly connected to the water mains. Can I install a tankless toilet in a penthouse of a skyscraper? Yes, however, you will need to consider water pressure. Most modern high-rise buildings have pumps installed in the architecture. How sensitive are motion detectors that raise toilet seats? Very sensitive, the more advanced modes allow for sensitivity settings. If you don’t have a programmable setting, some seats will open and close every time you are around 10 feet from the unit. In some instances, dogs and cats can cause the more sensitive sensors to operate as well. 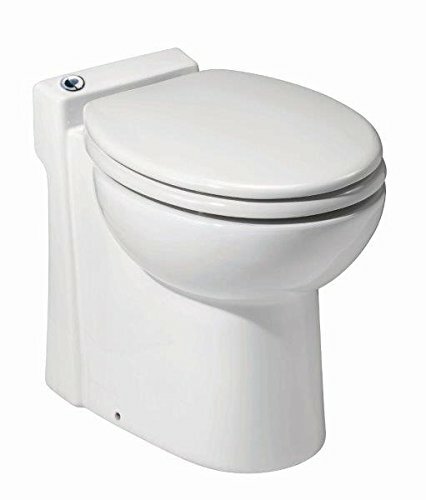 I have low-pressure water, can I connect a tankless toilet? Yes, but you should consider checking to see if you will need a pump to increase the water pressure. My toilet has automatic flushing, what happens in a power outage? Any electronic device will cease to function in a power outage, including a tankless toilet. However, some models have a backup power source, a small battery that keeps the basic operations working for a short while. Do tankless toilets conserve water waste? Yes, tankless toilets provide control over the amount of water that flows through the system. The more technological ones provide full adjustable control. Is it easy to install a tankless unit? Yes, tankless toilets are single piece items that require a standard connection to a waste outlet and a water source connection that can connect to the main water pipe or in some cases to a sink. Why are some tankless models so expensive? As with any technology and fashion, tankless units can be very expensive when incorporating other technologies such as a “washlet,” remote control for seat heating, automatic flushing and set opening control. What are the main problems with a tankless toilet? This all depends on the level of technology you invest in. The more complicated a system, the more chances you have of issues arising. For instance, a regulated flush unit can be either mechanical or electronic. If the mechanism is electronic, then power sources and programming issues can arise. If the control is mechanical, then wear and tear issues can arise. We reviewed quite a number of models including the best tankless toilets in the market and found that they require less space, and can be in the most confined or awkward spaces. In some instances, they can be situated far from a water source. Due to their high-water pressure feature, they provide added comfort when using a hybrid. The downside is that prices can be extremely high, well over $1,000 a unit. Very confused. What are the best flushometer toilets? I cant find any list of flushometer toilets and these appear to be not the same as tankless toilets. For example Kohler sells flushometers but apparently not the toilets. Thanks!